A refusal by Alenia Aermacchi to support existing C-27J transports sold by the US to other countries will likely complicate Australia’s long search to replace its retired Caribou airlifters. In what were seen as surprising comments, Alenia CEO Giuseppi Giordo has been quoted saying the company will not support the 21 C-27Js it has delivered to the US if they are resold elsewhere. The US is considering selling the nearly new aircraft after cutting the C-27J program, with Australia having expressed interest in the aircraft to fulfil the Air 8000 Phase 2 requirement for a battlefield airlifter. 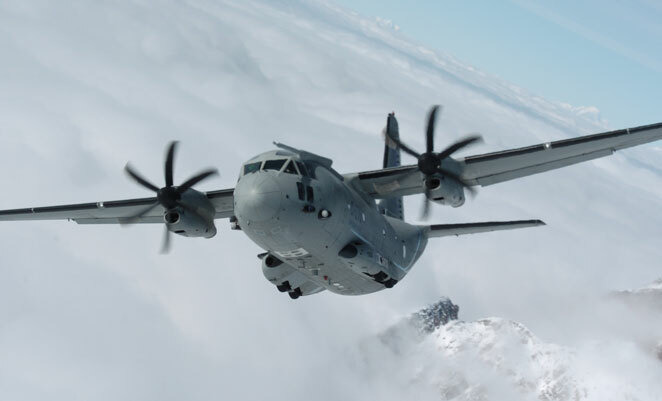 Giordo said Alenia will support new C-27Js purchase through the US Foreign Military Sales (FMS) program but views the used aircraft as competition to its own efforts to sell the C-27J internationally. The US Defense Security Cooperation Agency in December flagged the possible sale of 10 C-27Js to Australia for an estimated US$950 million, but that was before the aircraft fell victim to budget cuts and was cancelled early this month. For Australia, the US decision to axe the program removed the interoperability advantages of flying an aircraft also used by its chief ally. On the other hand, it opened up the possibility of buying little used US aircraft – all of which have been delivered since 2008 – at a substantial discount. Alenia’s move to refuse support for the used aircraft will likely undermine the appeal of the existing aircraft, but it’s also worth noting that the US hasn’t formally announced plans to sell the aircraft and could instead decide to transfer them to the Air National Guard or another agency like Homeland Security. In any case, Alenia’s aggressive stance is likely to bolster Airbus Military’s equally aggressive push to get the RAAF to consider its C295 transport for the Air 8000 requirement. Though the RAAF has expressed a clear preference for the C-27Js larger cargo capacity and better short-field performance – and Australia could still buy new planes either through FMS or directly from Alenia – the C295 presents a cheaper and more widely used alternative, advantages Airbus is sure to mention as it lobbies Defence over the coming weeks. Will anyone one day think about the risk on the supply chain sustainability and future price of spares for C27J if bought by Australia ? Alenia seems to be showing their true “manufacturers colours” here by in effect showing that their products and their support of those products are 2 completely separate things. When will manufacturers learn that users want both. Even if they want to play hard ball on this, why not allow the ex-US aircraft back onto the market and sell another support package for them. Surely it’s not all about the manufacture of new machines – granted this is important for them to maintain open production lines and staffing, but they shouldn’t drop used machines like hot potatoes cause that sends entirely the wrong message also. They may well be cocking up their competitive chances for the Caribou replacement – right now they are at that awful precipice in Australian procurement where the user wants the product but the government wants to have its say (which very often in Australia leads to a poor procurement – the past and present are littered with examples).